The full document is embedded below, no laughing please, this was cutting edge at the time! 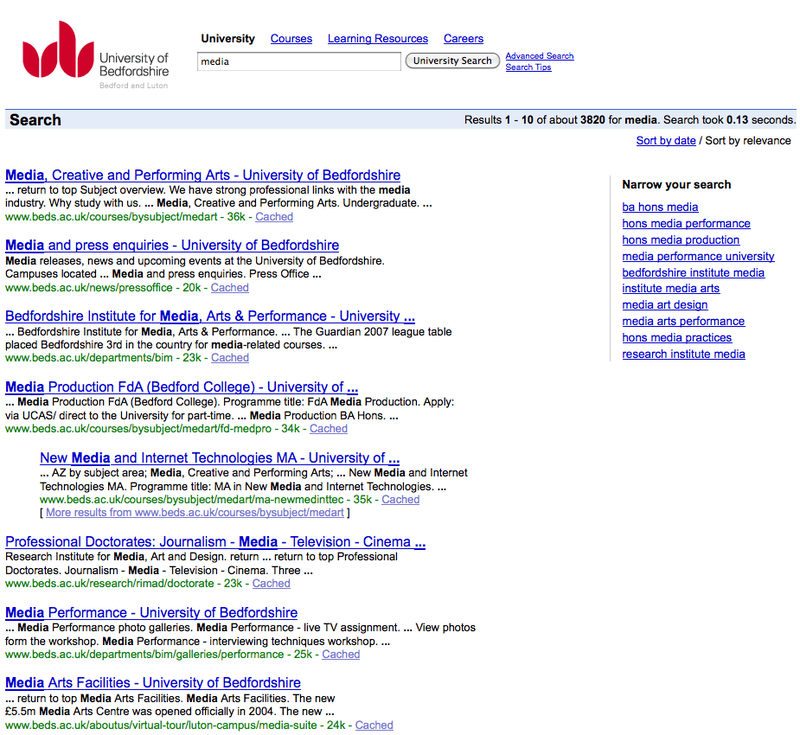 Search... it's a big subject when it comes to internal discussions on how visitors navigate our website. At the moment we have a Google Blue Box which provides us with a competent search and results display but does come with a two year lifetime at which point it gives out a little fizz and we need to purchase new hardware. It does seem strange that they only have a two year lifecycle! So, as our box is due to self destruct within a year we started to look at alternative options and had a rather impressive demo from Funnel Back, part of Squiz. With only two hours of back end set-up and no tagging of our content the results displayed were impressive enough to stop us all talking! Google has a real competitor for the small appliance search engine market and at present Google doesn't even compare (and i'm Google friendly!). 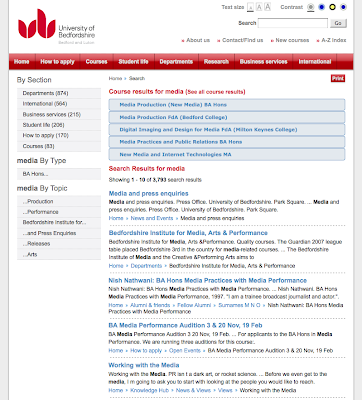 The Funnel Back search results picked out course descriptions, suggested search terms and grouping with virtually no manual input. 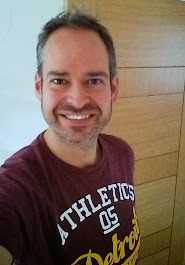 If we took the time to tweak it & tagged our content in a logial way (!) 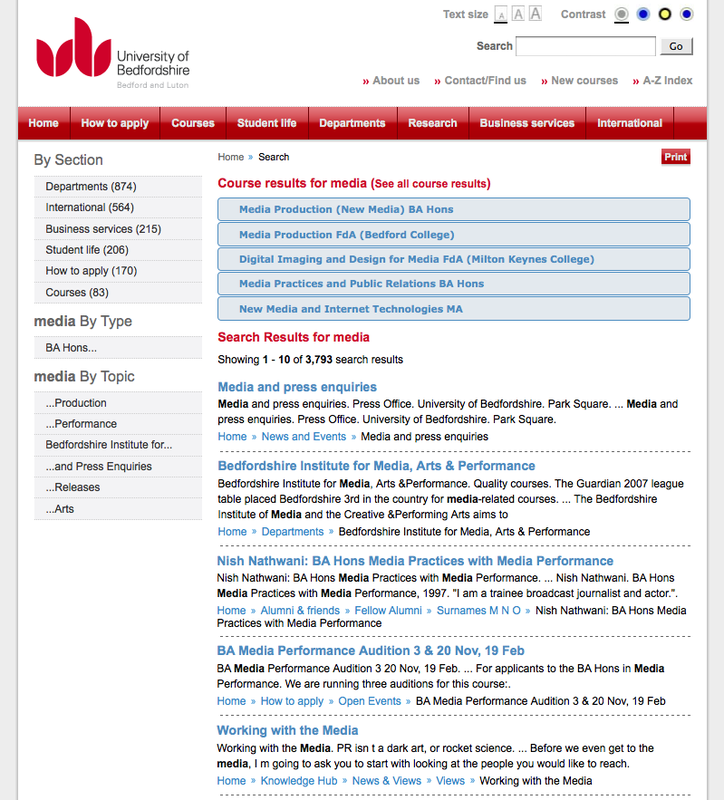 then we could see some outstanding results all of which would feed into a very nice course finder for our homepage. 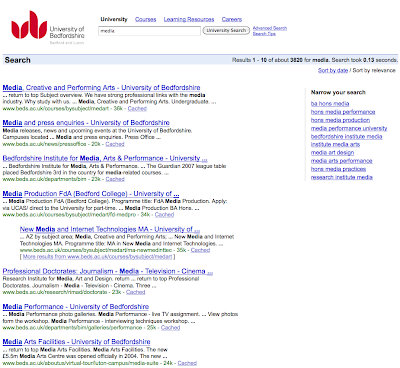 I've posted a screen shot of both search results using the search term 'media' to show the difference. 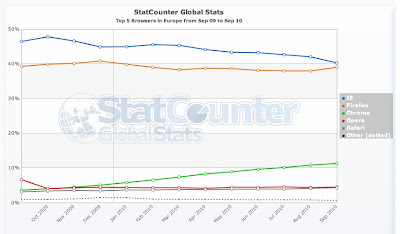 So, IE now has less than 50% of the worldwide browser market share... anyone that surprised? With Firefox, Chrome, Safari and Opera as the main opposition players on the market it was only a matter of time until IE fell to less than half the market usage. 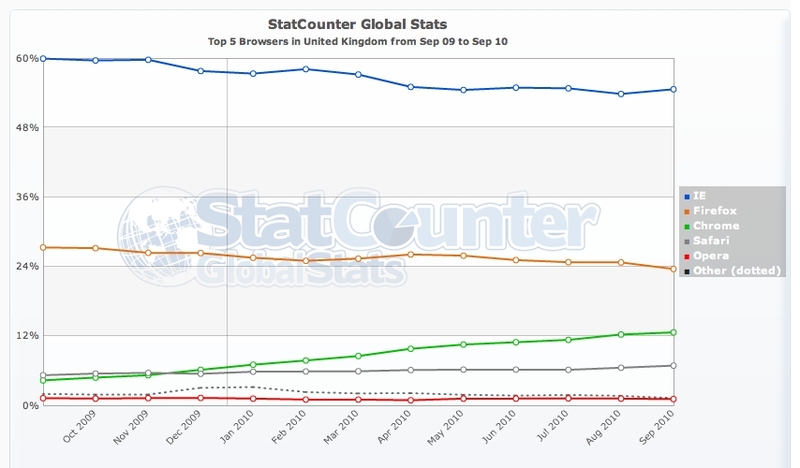 The big surprise of the report from StatCounter is that it's Chrome that's eating into their share and not Firefox! With Google as a serious player in pretty much everything now (watch out for Google TV!) it really shouldn't be a massive surprise that they are keen to take the majority share of the browser usage. After all, it is pretty quick! The drop in usage has been partly attributed to the European Commissions ruling on Microsoft offering an easy way to select your preferred browser. 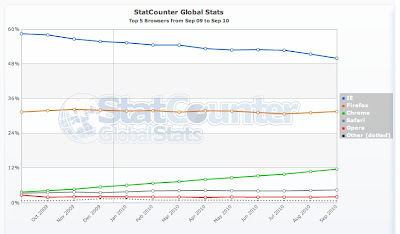 But, can IE9 save the day or could this really be the beginning of the end for IE dominance? 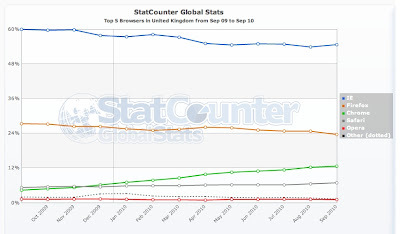 Having looked at the Browser usage stats for beds.ac.uk we have seen a decrease in IE usage of 13.5% in the last 12 months with a 10% increase in the usage of Chrome and a 3% increase in the usage of Safari! So we're reflecting the stats within our own sites as well.